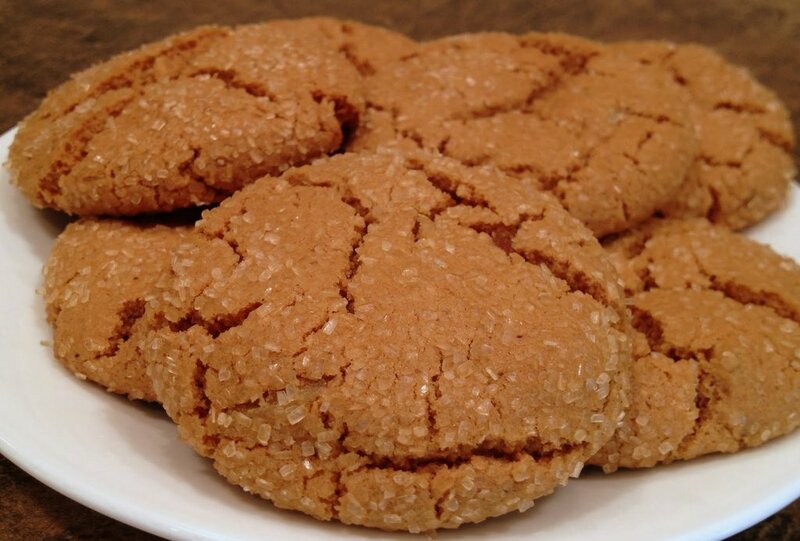 Molasses sugar cookies are a favorite treat in the Chaston family. So, of course, I made a batch up today! All the storms lately have turned my attention to baking since I can’t do much outside! Word to the wise: use a mild molasses, not a blackstrap molasses. 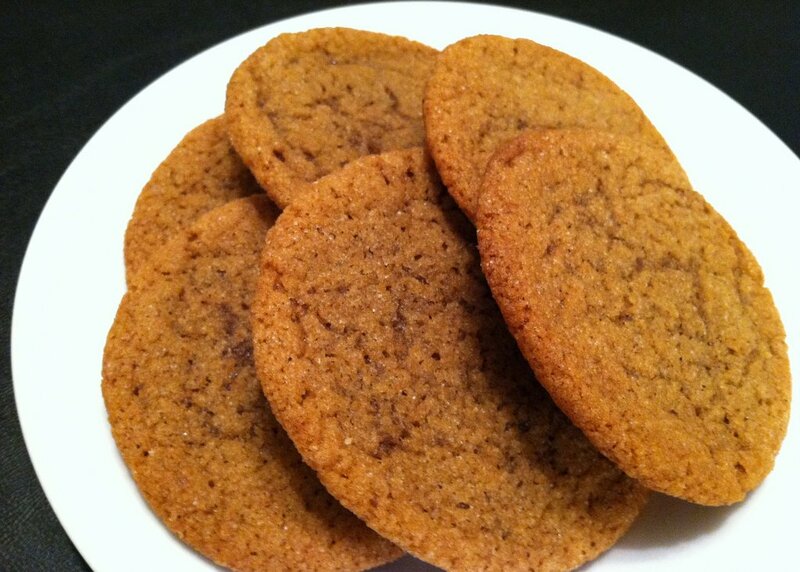 Blackstrap will make the cookies less sweet and give them a deeper flavor, but it can be overwhelming and sometimes bitter. 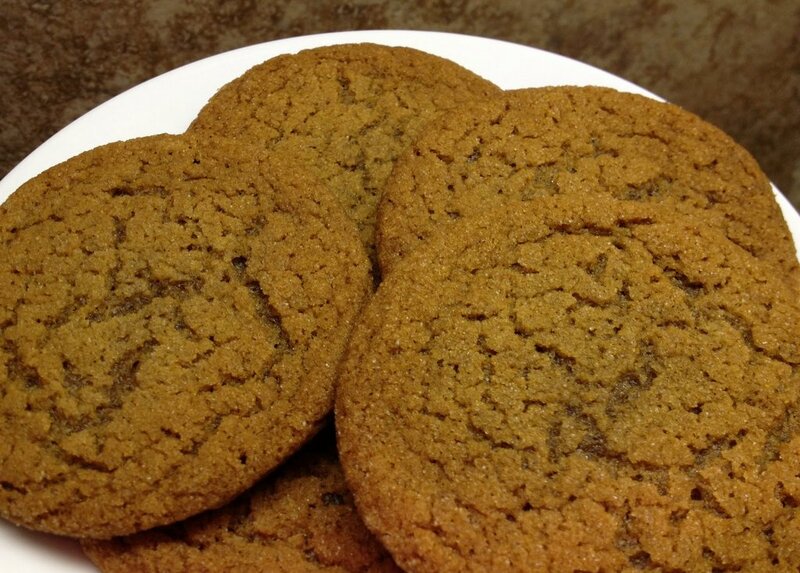 I always use Grandma’s Molasses® and get good results with it. What is fun about making these cookies is the dough is rolled in sugar! I love the song “I Lost My Sugar in Salt Lake City” sung by Peggy Lee with George Shearing. It’s my favorite version and is from the amazing album Beauty and the Beat! Preheat oven to 350 degrees. Prepare two baking sheets with parchment paper. In a large bowl cream butter, sugar, molasses, and eggs until blended. Add salt, baking soda, cloves, ginger, and cinnamon. Add flour 1 cup at a time. Reserve 1/4 cup of the flour out. Put the 1/2 sugar on a plate or lipped dish. Roll 1-inch balls of dough in sugar. Strongly suggested: Make test cookies by placing 2 dough balls on a cookie sheet 2 inches apart. 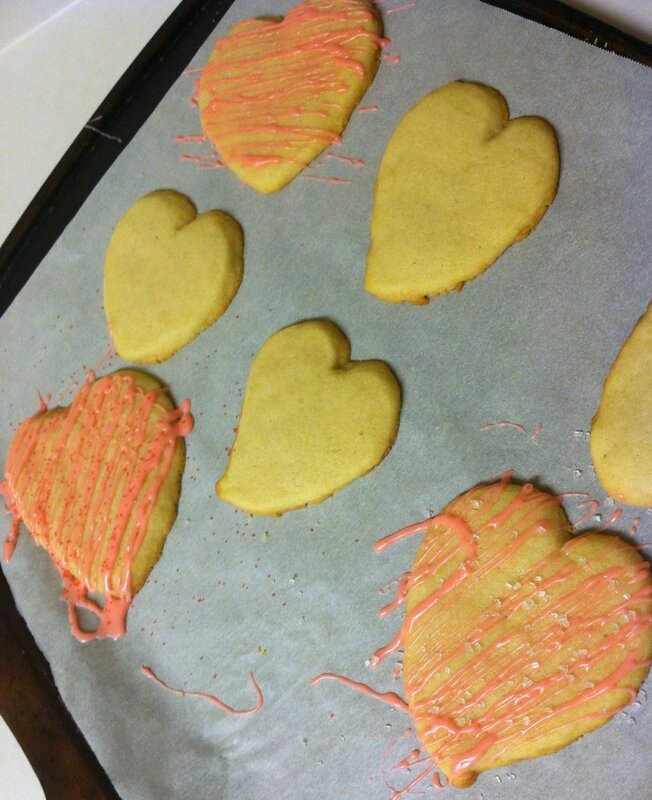 Bake for 10-12 minutes or until the middle of each cookie is cracked. Do not open the oven while the cookies are baking. 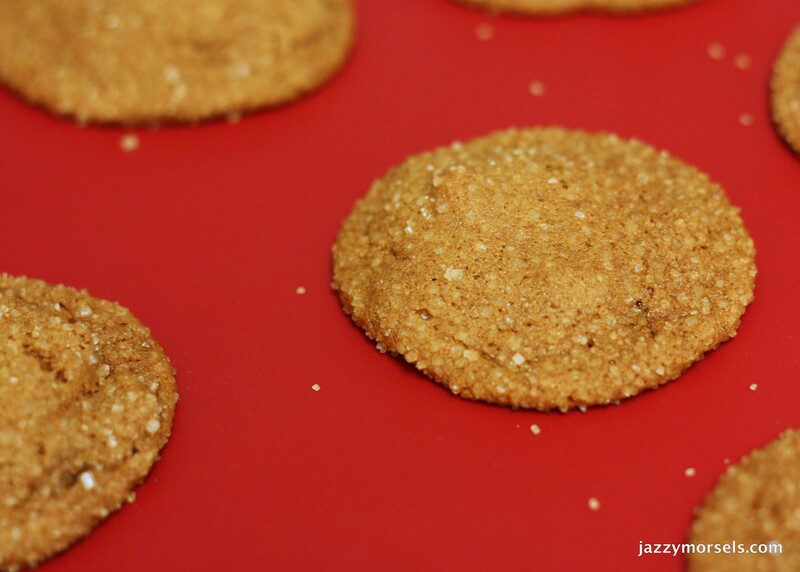 If the cookies are too flat and buttery, add the remaining 1/4 cup of flour. Make the rest of the cookies according to the directions above. Next post: Birthday Cake: Vanilla Ice Cream…Favorite?